Keeping the Pounds Off! : Weight Loss Via Vampire Method? Weight Loss Via Vampire Method? Once a month, once a week, once a day. These are acceptable ways to use a scale. I read about some wild uses of the scale a few weeks ago and one of the reasons someone got back on the scale again freaked me out. Not because I thought I was better than this person, but because I know I was exactly as obsessive as this person, once upon a time ago. I weigh once a day, maybe 5 days each week. If I miss a day I am not obsessive about it the way I was a few years ago. I make my bed once a day I weigh once a day. Sometimes I do not make the bed. Oh well. No damage done. Same with the scale. If I miss a day I will have the opportunity to weigh tomorrow. It feels right to be healthy and reasonable about the scale and not use it as a measure of if I am worthy enough to have a good day. The scale is a measurement, not a punishment. I am not judging anyone here. I have done all of the above in times past, with the exception of #7 and the only reason I didn't try #7 is because I didn't think of it. Now that I have seen someone else do this I felt the urge to write this. 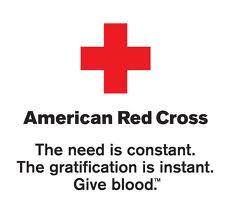 Giving blood is a kind and loving act. Giving blood saves lives, it is not a viable weight loss method. The good deed does not come with a prize. That has to be the reward, not weight loss. Yes, you will lose that pound of fluid - briefly. You will then gain it right back when you drink water and eat your next meal. It is not weight loss it is scale fluctuation - let it go. Donate blood and know you are a good person because of your donation, not because of a any number on your scale. Bloodletting is not keeping the pounds off. 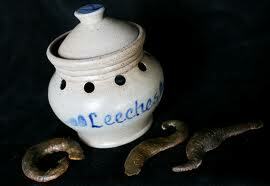 If it were, I would have invested in medical leeches and be raking in the blood money. What is/was your most insane scale or weigh-in behavior? Have you gotten away from it? How did you arrest your behavior? I linked being empty and getting on the scale toward the end of my first weight loss (going into my first maintenance). The lower number on the scale reinforced my desire to be empty. I stopped using the scale (totally) when I went into my first maintenance and didn't really use it for 2 years. That meant I had to have REALLY dependable food and exercise for that whole two years. When I decided to drop my last 20 lbs, I used the scale to get those pounds off my body. Those pounds were a layer of fat from the bottom of my arm pits to the top of my hip bones. That time I did not associate empty and scale, because by that time I was always weighing myself in the middle of the day, full. The real me is not empty, the real me is hydrated and has nutrition. It took me 6 mos to take off those last 20 lbs. And I have been in my second maintenance for a couple years now. I rarely get on the scale. I wear my jeans a lot. I keep my food and exercise and sleep and water as reliable and constant as I can. I have always said - it can be one, it can be both, but it can NOT be neither (in my opinion). One either uses the scale or has very dependable/constant habits. I was guilty of jumping on and off the scale multiple times during the day. I am like you now - I weigh once a day and let it go. It is a tool that helps me stay accountable. I would ease onto the scale very slowly, one foot at a time, and I would also try standing in different places on the scale to see if that would affect the number. I haven't weighed myself since mid-2009. Not sure if I will ever get on a scale again! I also weigh myself almost daily. Always at the same time, first thing in the morning after using the bathroom and stark naked. I don't know who I think I'm kidding, but at least I'm consistent and can see any loss or gain. I also weight daily--most of the time. I tried to weigh once a month, but for me, absence from the scale makes me less accountable for what I'm putting in my mouth. Different strokes for different strokes, I guess. I'm also wondering if you can access my blog now that I'm private. If you could leave a brief comment, I'd appreciate it, Jane. I'm still trying to figure this thing out. I am a founder of the best weight loss centers in Mumbai, India, and I would say that obsessive weight checking is a common issue among my clients. But I would say this probably the most healthy obsession one can have! Obsessive weight checking is actually far common among those who have just started enthusiastically on the path to weight loss and it is far more common for them to check their weight after a weight training or running session than checking their weight after a binge eating session. I guess its more to do with checking for weight loss vs checking for weight gain. Also I used to have this habit myself when I was trying to lose some of the weight I had piled on years ago and a sense of awe would wash over me when I compared the weight that I had lost. A curious aspect of this behavior was that I would imagine my close friends and family near me applauding my weight loss and cheering me on! I have this silly habit - since my teens - of getting on and off three times. If I like one of the weights, but not the other two, I might move the scale around the room a few times to try to get that desired number back. Because, ya know, moving the scale to a more or less slanty or more or less bumpy part of the floor actually does change reality.